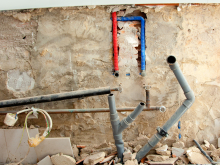 When a commercial location has a plumbing problem, it can become a serious issues very quickly. Just a clogged drain or a little leak can hinder your business and annoy your customers or employees. If you are in charge of a commercial location and have a plumbing issue then don’t wait for it to go away. Call us at Streamline Plumbing so we can come out and give you a Free estimate. Our technicians are highly skilled and use modern technology to ensure we can diagnose and fix your plumbing issue in an efficient and affordable way. 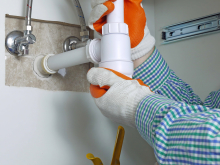 Regardless of what the plumbing repair actually is, you can count on Streamline Plumbing to offer the most professional and affordable pricing in town. We even offer affordable pricing on services like hydro-jetting. Unlike many competitors who only focus on larger High Paying commercial repairs, Streamline treats every customer like our most important client. Unfortunately, most people who use a commercial facility don’t really care about keeping it clean like they would their own house. This tends to create an abnormal “wear and tear” on commercial plumbing, which of course can lead to major repair issues. If you have a plumbing repair (or emergency) at your commercial location, don’t always just go with the 1st repair estimate you received. Streamline Plumbing offers a FREE 2nd opinion and we can come out today to analyze what the actual problem is. We take immense pride in offering very affordable prices and top quality workmanship on all of the commercial jobs that we handle. We believe that the best way to avoid repairs for your commercial location is to make sure you keep up with the normal maintenance. Our technicians go “above and beyond” the normal quick fix and repair. We treat all commercial repair jobs as if they were at our own commercial building, and we use our 25 years of experience to make sure we fix the issue correctly the 1st time. We will also make sure that your plumbing system as a whole is up to date and running efficiently.